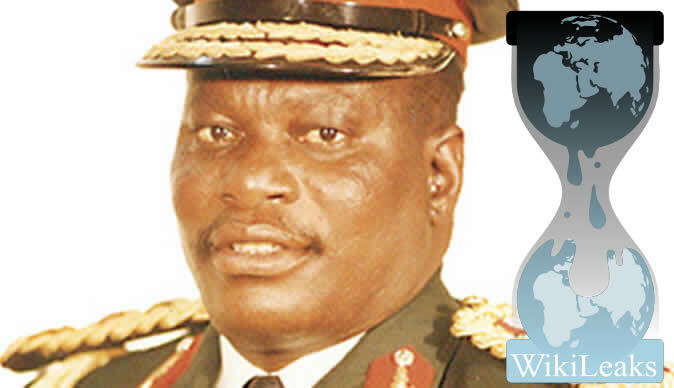 The late former Zimbabwe Army Chief Solomon Mujuru had HIV/AIDS, Wikileaks has revealed. Solomon Mujuru, husband of Zimbabwean Deputy President Joyce Mujuru, who died in a house fire on the 16th of August 2011 had details of his health status revealed in secret US diplomatic cables published by Wikileaks. A cable marked "confidential" revealed how former US Ambassador to Zimbabwe, Tom Mcdonald, was told these details by Harare Businessman Clive Puzey, a Small Deputation of Movement for Democratic Change (MDC-T). Puzey alleged that Mujuru was once hospitalized in South Africa, where he was being treated for complications arising from HIV - AIDS. Another cable marked "confidential" revealed that President Robert Mugabe has prostate cancer and doctors have told him he could be dead by 2013.